DEVELOPMENT, CULVERT, AND SEPTIC PERMITS ARE ISSUED THROUGH THE ENVIRONMENTAL OFFICE OF AUSTIN COUNTY. PROPERTY OWNERS ARE REQUIRED TO OBTAIN A 911 ADDRESS FROM OUR OFFICE, AUSTIN COUNTY EMERGENCY COMMUNICATIONS DISTRICT. 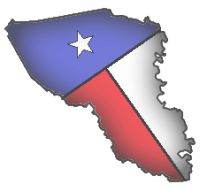 WE WORK CLOSELY WITH BOTH AUSTIN COUNTY AND THE AUSTIN COUNTY APPRAISAL DISTRICT. FOR ALL QUESTIONS CONCERNING PERMITS YOU NEED TO CALL THE ENVIRONMENTAL OFFICE OF AUSTIN COUNTY (979-865-5911 EXT. 2225). THEY ARE LOCATED AT THE COURT HOUSE IN BELLVILLE, 1 E. MAIN ST.
FOR ALL QUESTIONS CONCERNING PROPERTY LINES, VALUES, AND TAXES YOU NEED TO CALL THE AUSTIN COUNTY APPRAISAL DISTRICT (979-865-9124). THEY ARE LOCATED AT 906 E. AMELIA ST., BELLVILLE.